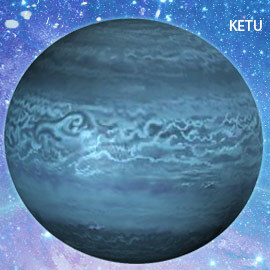 Ketu is sometimes called "the saintly planet. 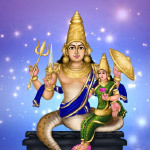 If Ketu is well placed in your horoscope, then lighting Darbha incense cones will lead to greater detachment, longing for liberation and increased connection to spiritual community. 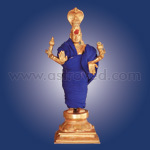 If Ketu is placed well in your horoscope, then lighting Darbha incense cones will lead to spiritualism, sensitivity and high intuitive powers in you. However, if Ketu is ill placed, you might suffer from irrational behavior, fanaticism, addictions like gambling, drinking, etc. and life-threatening diseases such as cancer. Lighting Darbha incense cones helps you to gain peace of mind. Brahmins always keep Darbha grass in their houses and it is used for purification in all kinds of ceremonies. It grows to a height of about two feet and is thinly pointed at the top. This grass is usually found in damp marshy and low-lying areas. Note: You will receive 6 packs (or boxes) of incense. Each box will contain 18 incense cones made of Darbha grass and a metal plate on which you can light and place the incense cone. 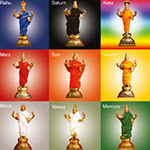 Planetary pooja is a means of offering respect and worship to the 9 planets, asking them to bless us with our wishes in return. 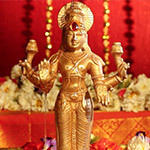 The planetary poojas are effective in communicating your desire to be in tune with the planets. These poojas will include offerings to both the planet, and its overlord. Let's not forget that the little emotions are the great captains of our lives and we obey them without realizing it, says Vincent Van Gogh about emotions and people. No other planet symbolizes emotions better than Mars. Rahu is a Nodal planet. It does not own any sign in the natural zodiac. However, it acts as an agent for the owner of the sign in which it is places and also as an agent for the overlord of the star in which it is placed. Rahu when placed in a fiery signs would render a fierce nature and will exploit all subjects with an aggressive thirst of quest.